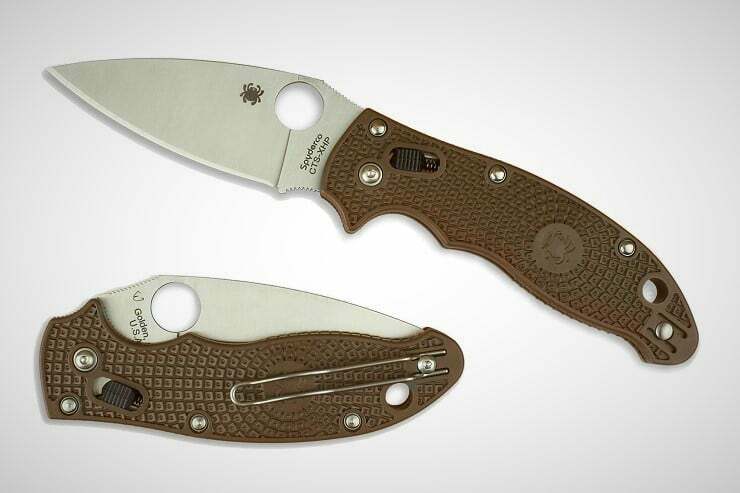 Releasing an alternate blade option for their highly successful Dragonfly 2, Spyderco has added a new rustproof H1 blade and have dubbed it the Spyderco Dragonfly 2 Salt Folding Knife ($62). 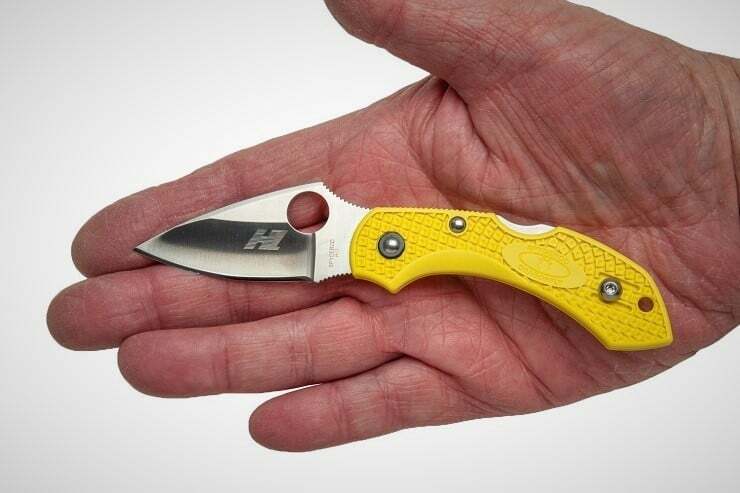 This mid-sized knife has an overall length of just over 5 1/2″ with the blade being but 2 1/4″ long although it is available in both PlainEdge and SpyderEdge configurations. 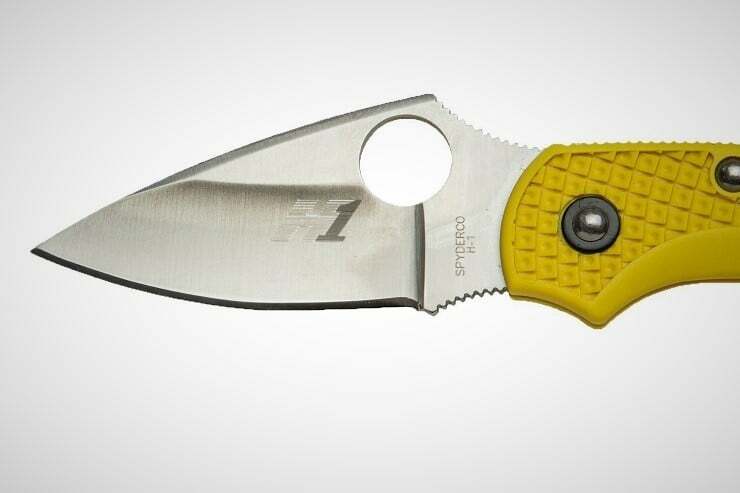 What the new H1 blade lacks in length it makes up for in girth with its leaf-shaped design. 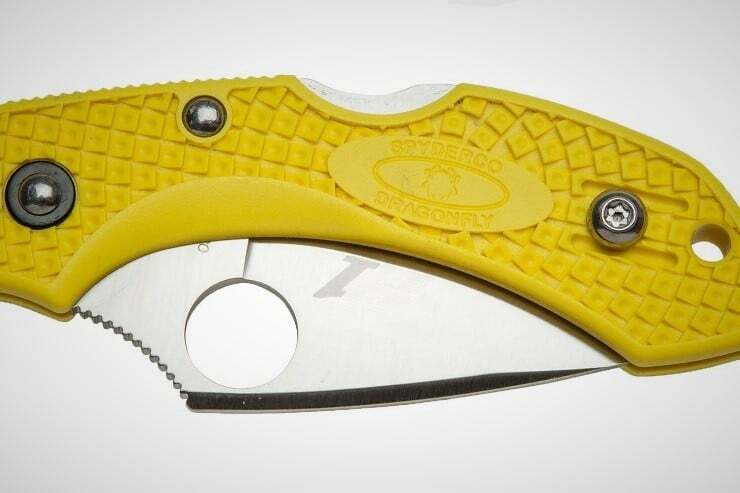 Part of what keeps this versatile utility knife down to its featherweight 1.2 oz. (34 grams) is the handle material. 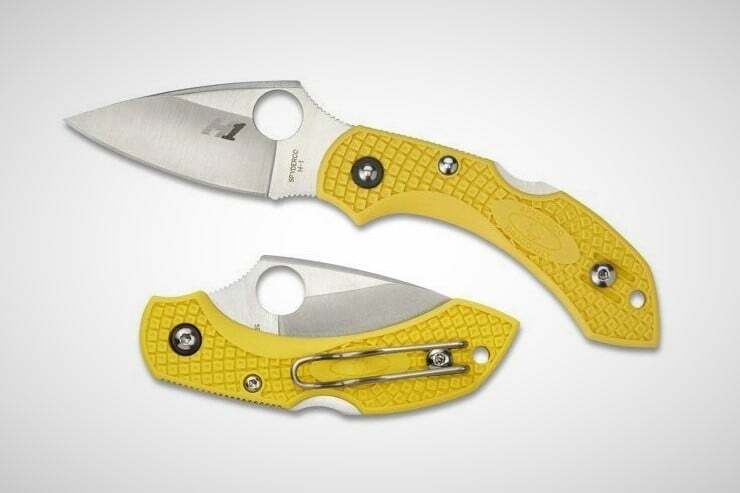 It’s a molded grip of bright yellow Bi-Directional Textured fiberglass reinforced nylon, held together by screw-together construction. 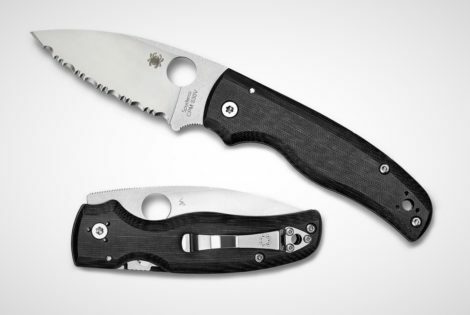 The blade has a large thumb hole for quick one-handed action and the ergonomic handle allows a multitude of cutting positions & leverages. 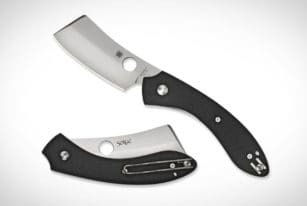 As an everyday carry knife, satisfied users have touted its wide range of uses as one goes through their day. Everything from cutting string to opening packages is quick and easy and the noticeable color helps make sure the Dragonfly 2 Salt doesn’t hide if you set it down on your desk.